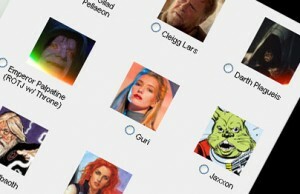 Here’s your chance to decide which Star Wars character will make it into Hasbro’s 2013 line of Star Wars action figures. Check out the Fans’ Choice poll at Star Wars Insider Magazine and vote. You will be able to choose from twenty characters and the winner will be announced in February at Hasbro’s 2012 Collector-Fan Media Day. How many of the twenty nominations did you recognize?